Flooring is an ideal item that improves the appeal and efficiency of an open space. A wide range of materials are found in the San Diego home remodeling market. The most common ones are tile, stone and hardwood. Before choosing the right material, people must review the existing home remodeling design and make changes based on lifestyle. Home remodeling in San Diego is an endeavor that takes time, research, and reliable general contractors San Diego. It is important that people should not pursue the choices that everyone else pursues. Hardwood is one of the most popular floor materials used for all kinds of rooms. Different types of wood are designed to be durable, attractive and easy to maintain. The hardwood floor has an elegant, sophisticated look that remains timeless. The material is vulnerable to water and scratches. It is possible to refinish this floor a countless number of times. A stone floor is seen in an elegant, expensive building, like a large corporate office or an upscale restaurant. Typical materials include marble and granite that come in different colors and designs. Slate and limestone tends to look smoother and more natural. All stone types have individual benefits. The stone is resistant to moisture, splintering and scratching. A laminate floor resembles a hardwood floor and looks attractive in any room. This type of floor provides a well-furnished appearance with or without furniture. 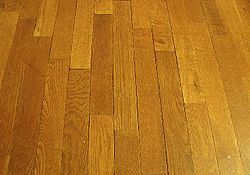 Laminate floor is long lasting and resistant to scratches and blemishes. Resilient floor materials include vinyl, rubber and linoleum. The resilient floor is designed to resist heavy streams of traffic. The boards resist large amounts of wear and tear. The vinyl floor is widely used because it resists skids and feels comfortable. Tile is a clean, smooth flooring material for people who like practical looks. Nowadays, ceramic tiles are made in countless colors and patterns. Tile must be cleaned and maintained to continue looking good. It is more useful to use a professional cleaning service or redo certain tiles. Home remodeling in San Diego requires good flooring. Homeowners use popular and lesser known materials on their floors. They can take up do-it-yourself projects to install floors, but the best option is to use a San Diego home remodeling contractor. San Diego home remodeling pros know how to mix and match designs and cater to individual clients. This entry was posted in Home Remodeling on February 19, 2013 by budgeit. Sign up here to get started.